After working a forty hour work week for more than half my life, I found that I was running out of steam very quickly. I was becoming dissatisfied with my life, and that thought terrified me, so I started looking into ways to be happier in my own skin. I was doing some research on mental health and exercises to help build inner strength when I came across an article that listed the best meditation apps. Quite frankly, the idea of a meditation app had never even occurred to me (I’m not a big fan of yoga and always sort of thought meditation was a bit strange), but it piqued my interest, so I decided to give it a shot. In the end, I’m super glad I did, because I have been able to build such great, healthy habits just by using these apps for a few minutes a day. Already (it’s been about four weeks) I can tell that my outlook on life has become much more positive - even my family has been noticing. I’m hoping that, by sharing these apps with you, my successes will become your successes. Meditation & Relaxation is the first app I tried and it’s really nice because it’s great for beginners. It allows you to finally answer the pressing question: what is meditation? 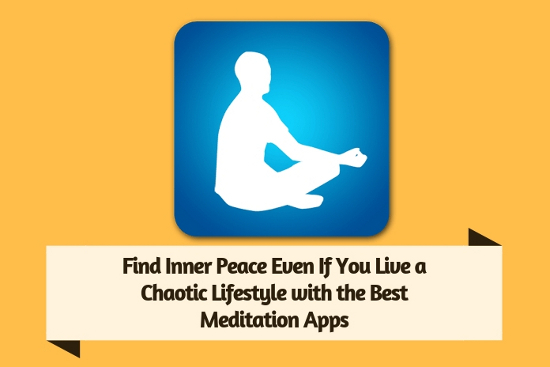 With this app, I was able to find tons of helpful resources for all levels of meditation, beginner to advanced, which gave me the ability to work my way up to more intense and focused meditation sessions. While there are some single sessions that are free of charge, there are also those that you’ll have to pay for. If you’re hoping to keep your wallet out of it, then you can certainly enjoy the no-cost options, but you will have a lot more meditation sessions to choose from if you opt to pay, so just keep that in mind. Just like the name suggests, Simple Habit is a stellar app if you’re trying to do just that: build healthy habits that your body will thank you for. I enjoy pairing this with some of my other meditation apps because it keeps me in a routine. I’m able to reduce my stress and, honestly, just knowing that I’m doing something for myself every day - even if it’s just five minutes of meditation - makes a world of a difference in terms of keeping my thoughts positive. The one negative that I will point out with this app is that the audio quality can change from one meditation lesson to another. You might have one that you absolutely love and one that sounds like it has an echo (or just, in general, poorer audio quality). It’s annoying, sure, but the ones that I do enjoy I love a lot, so I just listen to those. I’ve included this app on my list because it’s one that’s really important to me when it comes to improving my creativity and mental wellness. Using this app, I’ve discovered relaxation techniques that help guide me into a positive mindset, especially when I’m having what I like to call a “bad brain day.” I’m able to train my mind, build my self-esteem, and improve my overall productivity all at once - it’s great! There was an update a while back that caused the app to randomly crash mid-use. I know this from perusing the comments section of the app. However, that said, I’ve never actually experienced this for myself, so I think the developers have probably fixed whatever error caused that to happen. I know I said this before, but it’s true: I’ve been so much more positive since I began to use these apps. Meditation just works for me and I’m hoping the same will be true for you; that’s why I decided to put together this list. Seriously, try them out - even if you’re feeling skeptical. What could five minutes of your time hurt? I think you’ll be surprised. I know I was!